SpaceX CEO Elon Musk said on Twitter Sunday night that he expects a round–trip ticket to Mars to eventually cost less than a luxury wedding. 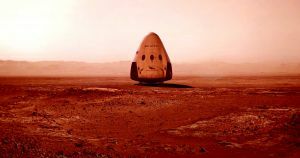 If Musk is right, it’d mean that the cost of Mars missions is set to fall by several orders of magnitude. NASA’s Curiosity rover, for instance, quickly ate up more than $2.5 billion in funding. And that’s without getting into the expensive proposition of living on Mars, where any off-world colonies would initially be entirely dependent on shipments from Earth. Maybe that skepticism is why, in a follow–up reply, Musk seemed to hedge his bets.